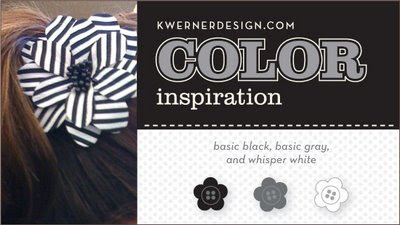 I'm bringing back the skull.. for Kristina Werner's Color Challenge This week and since I love these colors.. I'm going to make a few more entries as well. Have you done a Color Challenge yet? You should they are fun..
Great card! You sure do love that set,lol. I've thought about doing some of her challenges, maybe I'll try this one, we'll see,lol. So cool! love the dp you have! such a cute skull with hearts! Wow, great card with a great stamp. Very cool card! This card makes me want to buy the skull stamp... awesome!!! Great card!! The skull is awesome! Really like this one! Cute! Wow! Cool card! love it. I LOVE it. Very stunning. Congrats on being in Kristina's Top list! Very cool card, I love it!!! This card rocks, I hope this stamp set makes it into the OZ catty! I love it! Great job on top 15! wow, this is great! 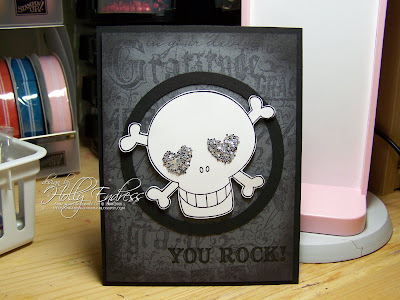 I love the skull with the glitter - and congratulations on KW's top cards! Love it! Congrats on the top 15! great card! congrats on top 15! So cute! Congrats on the top 15! Perfect use of that background stamp! Love it! Awesome card! Congrats on the top 15!